You are at:Home»Health & Outdoors»Children gardening? They’re not even leaving the house! ‘We need to get more children gardening’ goes the all too common refrain but never mind gardening, it seems that as a nation we can’t even get children out of the house! Last Tuesday evening I went to the local park with my boy to play football (he was in World Cup mood). It was a beautiful warm summer’s evening but the park was deserted. Again. Not another person in sight, adult or child. Sadly this is far from unusual but it always really puzzles me, as a child of the 80s & 90s the local park was always full. They’d be multiple football matches going on, a queue for the swings, somebody poking dog poo with a stick and a crowd setting fire to something in the bushes. Where ARE all the children? I’ve lost track of the number of times that we as a family have the local football pitch and basketball court entirely to ourselves. I posted a flippant tweet about all the fat diabetic kids being at home with rickets playing Fortnite on an electronic device. That offended a few folks (yes I did generalise) but doesn’t my tweet summarise the latest headlines that our children are not as healthy as previous generations? Yes I certainly should have clarified that I wasn’t talking about those children unfortunate enough to have Type 1 diabetes (an autoimmune disease, sometimes hereditary), or those coping with severe autism, social anxiety, or the very rare condition of genetic rickets, but there isn’t much room in a tweet for a disclaimer. When you look at the facts there are some very alarming trends that show all our children are disengaging from exercise, nature AND each other – there’s even a name for it ‘Nature Deficit Disorder‘. Consequently our children are becoming unhealthy which will lead to shorter lifespans and an increased reliance on healthcare. 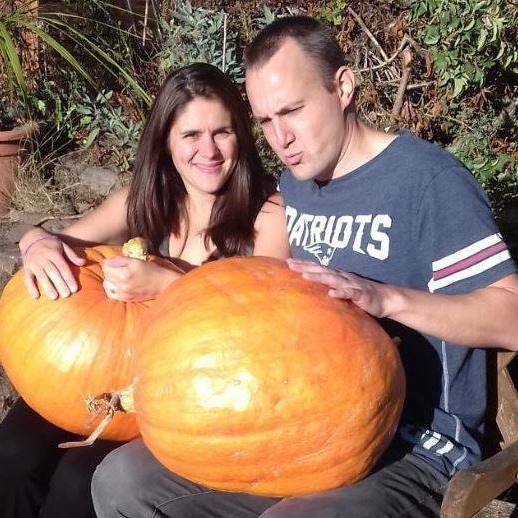 What hope is there for their engagement in horticulture?! Two thirds of ten-year-olds have never been to a shop or park by themselves. A fifth of children do not play outside at all on an average day. Three-quarters of UK children spend less time outdoors than prison inmates. Today’s children have a largely screen-based lifestyle, with just 21% regularly playing outside compared with 71% of their parents. 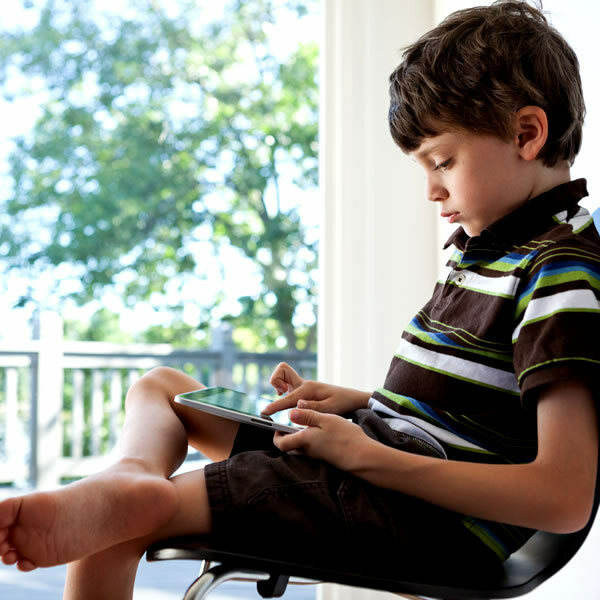 Screen-addicted children spend 16 minutes a day outside. British children are also spending more than 20 hours a week online, mostly on social networking sites. A two-year study found that more than 10% of children in England have not been to a natural environment in the past 12 months. Fewer than one in ten children regularly play in wild places; compared to almost half a generation ago. According to a 2008 National Trust survey, one in three children could not identify a magpie; half could not tell the difference between a bee and a wasp; yet nine out of ten could recognise a Dalek. Nearly a third of British children aged 2 to 15 are overweight or obese. One in five children are already overweight or obese before they start school and only one in ten children aged two to four meets the UK chief medical officers’ physical activity guidelines for this age group. More than 600 children and teenagers in the UK are being treated for type 2 diabetes – a disease normally only seen in adults aged over 40, an increase of 14 per cent in a year. 78.5 per cent of these were also obese. In 2009/10 1,398 children from birth to 16 in England were diagnosed as being deficient of vitamin D. This rose to 4,638 in 2013/14. Rickets, which had been declining since the 1960s, almost doubled between 1997 and 2011, going from 0.56 cases per 100,000 British children to 1.01 cases. Childhood short-sightedness (Myopia) has rocketed since the 70s and is getting worse. Only 16% of children aged 5 to 15 consumed the recommended 5 portions a day in 2016. This has fallen from 23% in 2014. I am genuinely worried for the well-being of the next generation but it seems that no single factor is the cause of all this, instead there are a myriad of societal and technological reasons for childhood health to go backwards in the UK. Childhood Obesity is more dominant in low income households that rely on cheap food, food which is typically higher in sugar and saturated fats. 26% of children living in the most deprived areas are obese compared to 11% of those living in the least deprived areas. Time (and money) is undoubtedly a factor, parents working multiple jobs are not able to find opportunities for cooking from scratch using healthy raw ingredients, hence the reliance on instant meals, take-aways or frozen food. I do occasionally see allotment owners on forums commenting that they are growing their own food to try and lower their food bill. That is a real challenge, my allotment is certainly not profitable. I strongly admire those trying to make a difference by bringing home healthy produce for their family but again growing your own produce is very time consuming. With children to juggle, an allotment is tricky to manage and sometimes you do just want some peace and quiet, but I would recommend involving them as early as possible because by the time they reach the age of ten it’s a tough battle to win. Parental fear of road traffic and stranger danger has created a zero-risk society with children and parents feeling safer at home. What else is there to do indoors than allow unfettered access to TVs, tablets, consoles and mobile phones. Anything for peace and quiet as the children wear you down. Of course, the irony there is that children are probably far less safe on social media or chatting with strangers on Roblox (a gaming platform) than they would be at the local park. As a parent I acknowledge that it is certainly very difficult and energy sapping to police the technology, to always be the bad Dad, regulating time slots, but it is a necessity. I will often switch off the router at source to enforce the rules. It usually isn’t received well. I live with that. At a recent secondary school induction evening for my daughter the new school set a ‘tough challenge’ of three no-technology days over the forthcoming summer holidays. “Mum” said my daughter turning to my wife, “We already do that”. Yes Sunday is a no technology day for the kids. Only the downstairs TV is allowed to be watched and the remote control is adult owned. Guess what? On Sundays the children ride their bikes or play badminton in the garden, they read books, they draw, they colour, they build with lego, they go to the park, they drive radio controlled vehicles. That or we take them outside, visiting a local village fair, a National Trust garden or a beach. I do my best to share pictures of my children helping me at the allotment to encourage others to involve their children, but I received a private tweet last week ‘I don’t agree with posting photos of your children gardening on social media so I am unfollowing you’ (Daily Mail reader I think, absolute fear and paranoia). Just as getting outside into nature and sunlight is vital for adult physical and mental health it is arguably even more important for children. Their immunity and brains are developing and need exposure to soil bacteria (digging!). Young eyes are maturing and need 2 hours of sunlight per day as a minimum to avoid short sightedness (Myopia). Vitamin D (which incidentally is not impeded by sunblock) creates strong bones. Physical activity makes the growing body stronger, it ensures that our children go on to live long lives. 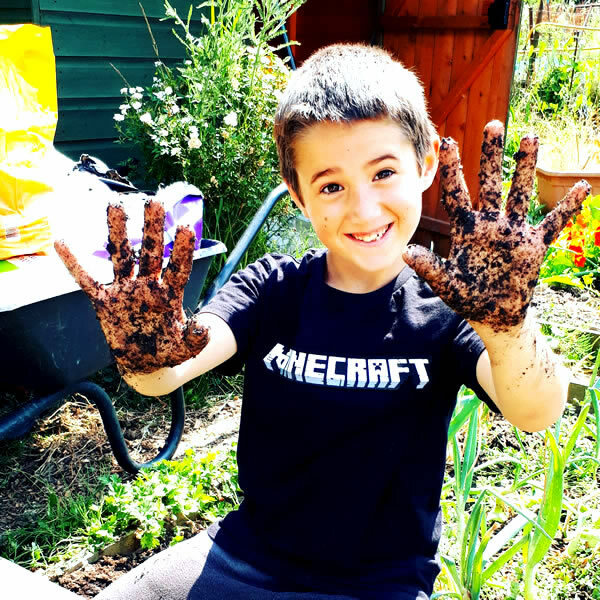 Gardening does offer some of these things but even outdoor play builds social skills, imagination and encourages a lifestyle that embraces the world around us. Un-managed in-door technology only impacts on all of these things, bringing addictions that affect the mental health of young minds. It’s time we did something about it, it’s time more people regulated the iPads and stood up to their children. It’s time we accepted that life itself is a risk. Buy them a football, teach them the green cross code and kick them outside, allocate them a patch of garden and give them a spade. Let them be bored and let them solve that dilemma themselves. It’s the best thing you can do for them. Maybe you can even join them and put down your own iPhone, find a stick and go poke some dog poo. The future terrifies me, for all the reasons you outline. It’s not just the kids and/or parents either – schools aren’t helping. Homework for my primary-age daughter used to include playing a game on an iPad(!) – educational perhaps, but very much geared towards an ‘easy life’ for ‘lazy’ parents. I literally had to prove to her teacher that I was capable of teaching her as well as the game could, before they’d allow us to skip it. I count myself extremely lucky that my daughter has a love for books and enjoys time on the plot with me – and, given the chance, I suspect a lot of other kids would too.